Astrology of Now: What The Venus Have You Invested In? On June 3-4 1769, Captain James Cook stood on a cape on the island of Tahiti timing the passage of Venus across the face of the Sun. He was one of 76 observers around the globe observing the transit in an attempt to gather enough data to measure the size of the solar system. 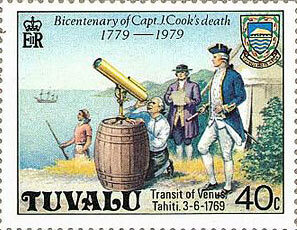 Like us, Captain Cook was watching the second transit of a pair that occur eight years apart in 130 year intervals. The next one is in 2117. The pairs occur alternately in Sagittarius and Gemini. Captain Cook’s and ours are in Gemini. The intervening pair, 1874 and 1882, was in Sagittarius. Now the Venus transit has taken place, but the effects are certainly still with us – and, while Venus is Rx in Gemini, is the time to ponder what Venus’ transit across the face of the Sun might really mean. 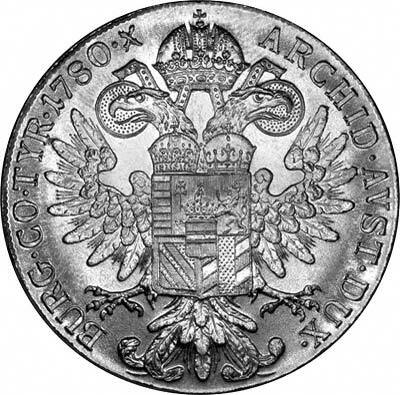 A 1780 Maria Theresa thaler. It is hard to define exactly what it means, partly because the last eight-year period was not in living memory. I’m sure that it is only with hindsight that we will be sure of what our eight years have really been about. However, I can tell you my gut instinct on this. Venus is the planet of values as well was love. We should all of us be investing in what we value if we are to live a “good” life. But so often we fail to do that. We fail to really put the time or effort or simply cash into the thing that we know is really valuable. And here’s another couple of questions: what do you really value? And how has that changed over the past eight years? Since this is Venus in Gemini, a mental sign, we are likely talking about ideas that we value. But I think the main areas affected are: children, commerce, factual knowledge. If you have been taking parenting seriously, developing a skill, getting to know a set of nitty-gritty facts, or developing a business, then you have been spending this period well. On the larger stage, I need hardly tell you what the occultation is about. I think you can guess. Gemini (markets, commerce, talk) and Venus (money). In the past eight years we have really had a shock. Everything seemed to be going along swimmingly. We borrowed and borrowed and borrowed, because the economy would always, always grow. Then half way through the eight-year period (2008) when Pluto entered Capricorn, everything began to unravel. 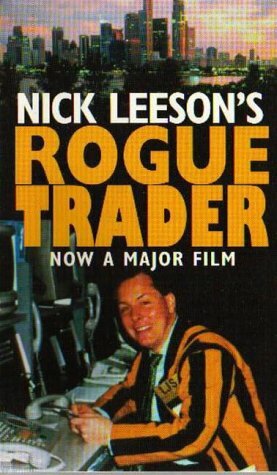 by a single trader in 1995. In the 1870s, during the last eight-year period, the West experienced one of its worst recessions, which dribbled into the Long Depression. It took decades to recover, especially here in the UK. Some historians argue that we did not really get out of it until 1896 or thereabouts. To read more about it click here. That was a Venus in Sag occultation, of course, so not exactly parallel to our current one. Being in Sag, we can only hope that it was likely to have been more exaggerated. What precipitated the whole collapse was the so-called Panic of 1873, which some call the first international crisis. Sound familiar. I’m not here to completely freak you out with historical parallels, but to put it simply the German Chancellor at the time, Otto von Bismarck, stopped the country minting silver Thalers, which caused the banking system to collapse in Europe and the US. Umm, we muddled through OK, but it took years and years and years. Britain never regained her dominance of global trade. Our current economic system is pretty different from that of the 1760s, when the Gemini Transit that Cook observed took place, so it’s hard to find parallels. But the theme of internationalism is clearly there. Venus and Gemini together certainly equal peace treaties (the end of the Seven Years War in 1763) and co-operation. However, something very interesting to do with banking did take place in this period. Barings, the first merchant bank, was founded in the City of London… go figure…. Money connects us all, whether we like it or not. In June 2004, the last time Venus crossed the Sun, my career/creativity made a quantum leap; I am now waiting/hoping for the seeds that I’ve been planting over the past few years to sprout and take my career on to the next level. I’m sure that’s the right attitude. My big investment has been in my children & also a lot of words into this blog, of course. Both Venus events were within shouting distance of my North Node in Gemini and I went from commenting on astrology blogs, to starting one (2006), starting an astro-website w/a partner (NNode in 7th) in 2010 to creating my own website (2010)! Turns out Venus gently prodded my lazy Libra self out into the wide, exciting world of the world wide web. Also one of the things I think that I think about this Venus stuff is that it is actually quite a gentle energy despite looking so dramatic. It’s like an ocean swell rather than a big smacking wave. Also it seems to be very evolutionary. Both Venus events were square my Sun (2nd house) and opposite my Saturn. I was not doing well in June 2004 either financially or in my love life, though didn’t hit bottom for another 18-24 months. I took a full-time job in 2006 and invested myself in learning that business (which was extremely hard work) and paying off my debts, moved in 2007, and entered a great relationship in early 2008 (also hard work emotionally for me for the first year or so). It’s all paid off well! Just left the hard job and I’m freelancing again, but with more marketable experience. That first Venus event in 2004 was almost exactly square my Sun and a degree from opposite Saturn, emphasizing hard work, not to mention fixing some self-esteem issues. Once you can get Venus and Saturn working together life is just so much better.Your story just shows that a square and Saturn are not so terrible as long as you’re willing to put in the work in. Both events fell in my 9th house. I moved to another country with my husband (the ruler of a big chunk of 7th and cusp of 8th is in my 9th although venus didn’t get to conj) he is a Sag, of course. My partner and children have been the major focus. I remember saying years ago that I wanted to have my children abroad. Sure enough, my first one has jupiter in sag exactly conj the IC (which -I’m just realizing- means the occultation fell right in his MC, what does that mean for a little one?). It also squared my 6th house sun, career wise wasn’t actually good in my case (it was very good before 2004).